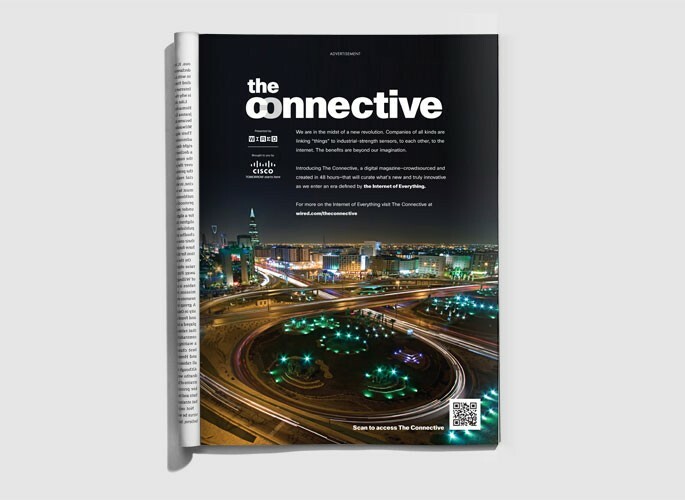 WIRED created the first-ever crowdsourced magazine in 48 hours, exclusively for Cisco. 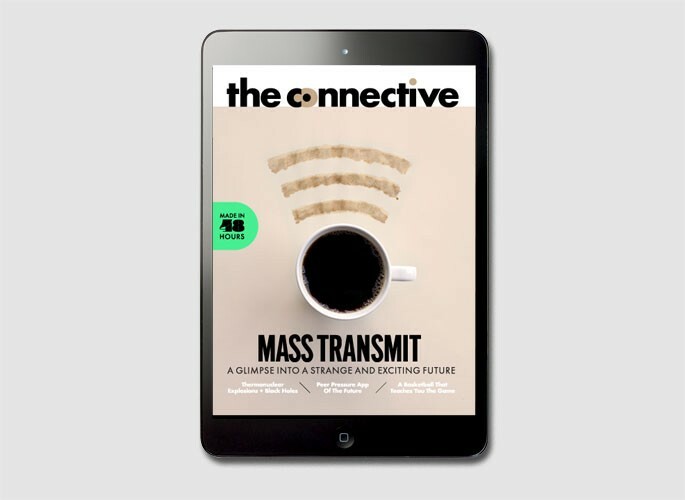 The Connective gave consumers a glimpse into the future and the connected world of tomorrow. Tablet: WIRED created a digital magazine that included four dynamically updating editorial pieces. Delivered on the WIRED tablet Storefront, The Connective was free to consumers. Digital: A custom hub featured content from the digital magazine and two new weekly posts on the Internet of Everything kept the content fresh. Print: A custom print ad announced the program and drove to the digital hub.